Home LISTEN! SWTOR Escape Pod Cast 90: Tips For 12xXP! 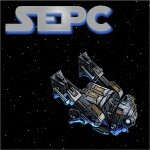 SWTOR Escape Pod Cast 90: Tips For 12xXP! This week @AIESema, @MaxTheGrey and Astromech EPC-90 talk about tips for getting the most out of 12xXP. This includes stacking boosts, gear, companions, travel tips and even how to turn 12x off. We also cover game news for the week from SWTOR in general and from our guild, Alea Iacta Est. SWTOR Escape Pod Cast 88: Ziost!